Distance, Calories, 5K, 10K, Half and Marathon Pace. Intensity Halos Display how Hard You're Working. 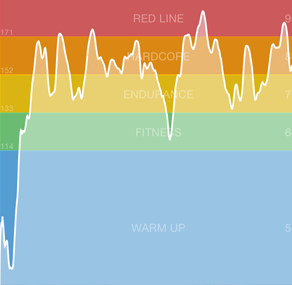 Analyze Your Heart Rate at Various Workout Phases. 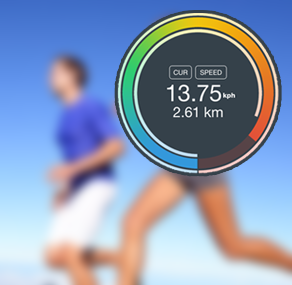 Track all your activities using our fitness and workout tracking apps. MotiFIT apps have everything you need to push your bike rides, cardio workouts, runs, walks and weight training to the next level and beat all your personal records. MotiFIT intensity halos provide unique real-time visual feedback of your pace, speed and heart rate. 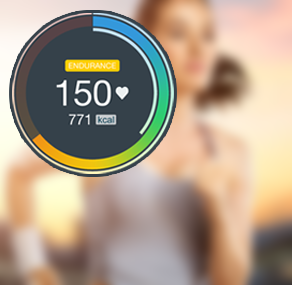 If you like to know your fitness numbers, you will love MotiFIT apps. MotiFIT uses cloud based data storage to keep your data syncronized across all your devices. Best app I've found to complement my Apple Watch! Easy to use, comprehensive and works great with my Polar H7 heart rate sensor for added accuracy. I've been using this for a while and am very pleased. I've been able to track my conditioning while training for events such as climbing Kilimanjaro. I love this tracker! It's the only one I have found that has the option for CrossFit tracking. I use it daily for my WOD's and have it linked to my daily calorie intake app through MyFitnessPal. Which helps me keep track of everything on a daily basis. Even better than what I was looking for! Using the watch as a heart rate sensor/monitor with great graphic readout on the watch, the iPhone or both, along with audio cues/haptic feedback when I enter and exit my self determined training zones! Great workout graphs and summaries of my workouts displayed in the app with the data pushed to Health. Seemingly endless options that allow me to set this up and use it just the way I want. Obviously crafted with love by dedicated and capable programmers who are clearly workout/health enthusiasts. I read the weight loss story of the guy who originated this app on their website and I totally related. He gets it and so does the customer success staff. I emailed in a bunch of questions and received immediate, personal response from an enthusiastic, well informed and friendly individual. I haven't been this enthusiastic about both software and developer since I first met the 1Password/Agile Software folks. First class application and team! Syncs perfectly with my IPhone, Apple Watch and polar heart rate monitor! I think the heart monitoring is accurate!! The voice feedback is reliable! Great investment! This upgrade made a great app even better!!! If you are looking for a replacement for the Apple Watch Workout app, buy this app immediately!! It provides all the graphing heart rate data you want and integrates with the Health app just like the native Workout app. This is the app that Apple should have made and makes the watch comparable to the detail from Fitbit fitness software. Also, the new voice feedback while working out via the Apple Watch is outstanding!!! Good job to the developer!! Easy to use to track and interfaces great with apple activity! I had trouble at first, but with help from customer service, the app is great! It provides great feedback for my workouts! Was previously using the free UA Record app with my Apple Watch Series 2. It kept crashing and continues to crash after two updates supposedly fixing the problem. Found this app and glad I did. 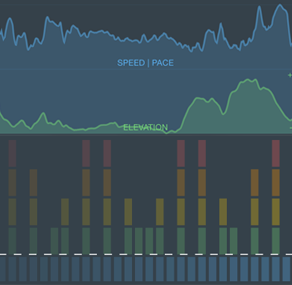 The graphics are better and more informative during workouts with voice feedback. Also links properly to Apple Health and updating the activity rings. Works like it's suppose to. Love it! Even though the UA app is 'Free' this app is worth paying for. No ads or other marketing emails. I use Motifit multiple times a day. I enjoy the cardio chart graphics during my workout and the summary chart after a workout. You can plainly see whether you are hitting your HIIT goals. Very motivating. Great app. Thanks. This is the best heart rate/work intensity recording app I've found! If your serious about heart rate work and or keeping track of your workout intensity this is the app for you. I love this app and no, I'm not a paid employee this app is actually everything it claims to be!!! Awesome app for focusing on Cardo Training in your Target Zone! Pairs well with the Scosche Rythm heart rate monitor. Nice clear readout. Very enjoyable to use. I use this app using the Orangetheory Fitness heart rate monitor. It's awesome for those days I can't make it to a class. Let's me know which zone I'm in and pushes me to workout harder. It gives a good idea of my workout. Things I like: Easy to use. Syncs easily w/polar HR strap. Love that I can label my own workout, & include notes to the session. Enjoy getting HR updates verbally if I want them, and overall HR info. Easy to see if I choose to visualize on my phone. Would be even better if it included GPS, and elevation. Works better for me then a Polar chest strap. App is easy to ready and understand. Love that I can label the workouts so I know what I did that day. I wish I found this app long ago. I use it every time and just install the biking app. Looking forward to using it all summer. Thank you for the great product! Records workout data. reasonably flexible in calculation of zones and feedback while using. It is the only app i use with my polar hrm. Overall I like this app very much. I've never used a different one so I don't have anything to compare it to, however. It plays nicely with my Polar h7 and I haven't had any functionality problems with it. There are a few small tweaks I would like to see though. You can't go into other areas of the app when you are in the middle of a workout so you can't change the voice progress announcements for example. If it's set for every 10 mins then you're stuck with it. I would also like to see the line graph while working out and not just the circle graph or the percentages. The line one is best one to track your heart rate and the one that gets saved at the end. Why can't we see it during the workout? It doesn't make sense. I do like that you can name the workouts and set up customized ones that are ready to go. The notes feature is nice as well. I jot down things such as what exercises I did, my energy level, if I was tired, other workouts I did that day, etc. For the money, I really like it. It works well for what I need and it was worth it. Great graphs for each workout with labels for what zone you're in, and in workout mode you can see while you're working out what heart rare zone you're in. Awesome! Also can import any precious workouts from Apple health so you can look at how you've been doing before you got the app. Plugs into the Apple Health well and plays nice with the Apple Watch. No complaints so far. Great app to track heart rate and training. Clean UI that makes starting and ending workout a breeze. No more wasting time trying to get your app started. Pairing with Wahoo HR monitor was a snap and my calorie counts seem to be accurate. I had a payment issue converting from trial to PRO version and I contacted customer support on a weekend. They responded quickly and exceeded my expectations. Problem fixed on a Saturday and App was fully functional. Amazed. By it now and go for pro version (best deal). They have a ride app for cycling that I'm going to be utilizing it too.